According to the “Remove Mold Guide”, mold starts growing in HVAC systems for two primary reasons: moisture and nourishment. The moisture is due to condensation, which typically occurs during warm months. When your house is warm, water vapor can begin to form on the inside of your air ducts as cold air is pushed through them. If there is a high level of humidity in the air, the water will begin to collect instead of evaporating. Any environment with high moisture is a breeding ground for mold. 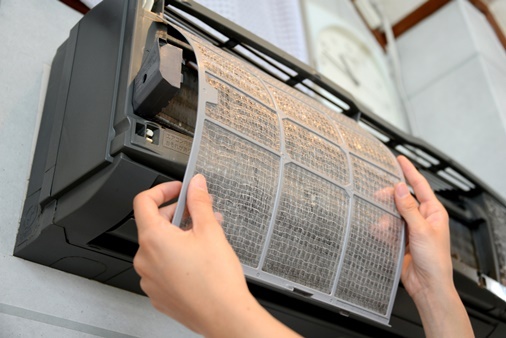 Your air conditioning and heating system works to ventilate rooms by recycling air. When warm air is laden with moisture, it creates the perfect conditions for mold to grow because it attaches itself to the inner areas of the ventilation system. When that happens, the system’s fans help distribute the mold spores throughout all the rooms of your house. To look for signs of it in home, specifically in your AC and heating vents, look not only on the outsides of the vents, but on the inside as well. Mold can spread all through the house each time you turn your ventilation system on and presentation to shape can prompt various medical issues, including respiratory clutters and unfavorably susceptible responses. Aerating and cooling mold should be expelled at the earliest opportunity, to secure your wellbeing and the strength of your friends and family. Finding mold in the home sends numerous property holders into a frenzy. Uncontrolled mold can prompt genuine respiratory sickness, eye bothering, and skin responses. A few people may create asthma after delayed presentation to it. In the event that your cooling framework contains mold, go about at the earliest opportunity to lessen the danger of negative well being results. You may not notice mold in your AC system until it builds to recognizable levels. Any maintenance technician should alert you to possible signs of it and give advice for removing it. Something Smells Funky: Mold has a distinctive musty smell. Most common molds will make the home smell old and unpleasant. You may notice the pungent nature of the smell increases as you run the air conditioner, particularly if it spreads to the air ducts. No Cool Air: At some point, you may find that your air conditioning system simply isn’t doing its job. Even at full blast, the air coming from your vents just isn’t as cold as it used to be – or isn’t cold at all. This could be a sign that your system is in need of serious repair. For instance, lack of cool air could mean that your system’s compressor has failed. It could also mean that you’re your system’s Freon levels are too low. When that time comes, you might have to replace the unit. • You see mold in and around your air ducts, intake vents, and drip pans. • There is a strong mildew or mold smell in your home. • Family members are coughing, sneezing and/or congested. • If you suspect that a mold problem exists in your home, you should address it immediately. • Removing Mold from Your HVAC system. 1. Turn off your HVAC framework. 2. Put on defensive rigging. The EPA suggests wearing an N95 air veil, elastic gloves, security goggles, and coveralls. 3. Choose a cleaning arrangement. You can blend family cleanser with water, or in the event that you lean toward, you can purchase a business mold remover. 4. Apply the cleaner to mildew covered regions and enable the answer for sit for five minutes. 5. Scrub with a towel or nonabrasive brush to the point that the mold is no more. 6. Completely dry the region. Discard anything which interacted with the mold. In conclusion, cleaning mold can be a tedious undertaking, also gross. You can spare yourself the inconvenience and dangers related to cleaning mold by contracting an expert to do it for you.